Whether you are a secondary or post-secondary teacher, a trainer, a seminar leader, or a team leader designated to bring an idea to the executive committee, this book is for you. 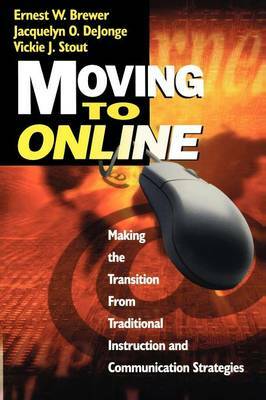 The contents of each chapter will be of considerable value to individuals who are preparing for teaching online at any level of instruction - middle school, secondary school, or college, or for training individuals in the work environment. Many experienced teachers and trainers may find that the various techniques provide criteria for technical decisions they must make regarding classroom instruction. An effort has been made to provide a general and, to some extent, conceptual analysis of practices in teaching and presenting online. The authors focus on several examples that they have come to value for their versatility and effectiveness while teaching at a university and making presentations or conducting workshops in the business community that incorporate some online learning experiences. "Instructing in the virtual classroom involves a new approach and special attention even to your formal instructional approaches."